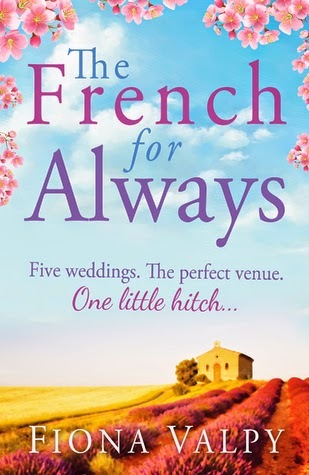 Please welcome Fiona Valpy, author of The French for Love and The French for Always as she braves our Desert Island Interview. 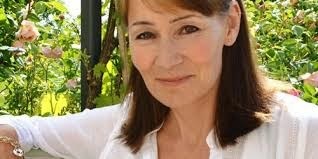 Fiona Valpy lives in France, having moved there from theUK in 2007. She left behind a career in Marketing and PublicRelations to explore new avenues and now teaches yoga,writes, and runs a successful B&B.Having renovated an old rambling farmhouse with her husband, she has developed new-found skills in cement-mixing and interior decorating, although her preferred pastime by far is wine-tasting. Fiona Valpy Stranded on a Desert Island! Pride and Prejudice – I read it about once a year because it’s where chick-lit began. A pen and notebook (oops, sorry, that’s two!) so I could write the book of my adventures as a castaway. One of those penknives that has gazillions of different blades, including a nail-file for manicures and a pair of scissors for DIY hair trimming sessions, to keep the split ends under control after all that sun and sea. As with all good chick-lit heroines, standards would need to be maintained! I think I’d love it! I’m very self-sufficient. And I’d lose myself in my writing. Access to the internet. I’d miss being able to keep up with what my sons are up to. Digestive biscuits – I do love to dunk! Have a long soak in a hot bath with lots of beautiful-smelling products. And then the second thing would be a cup of tea accompanied, of course, by a large stack of Digestives. You’ll never guess who I was just stranded with!! !